Are Indian Consumers Ready to Purchase 4G VoLTE Feature Phones Just to Enjoy Luring Tariff Plans? A year ago, Reliance Jio disrupted the Indian telecom market with free LTE services, followed by attractive tariff plans. A year after, the same operator is aiming to create waves with a feature phone- the JioPhone. However, this device is aimed at 500 million people in India who can’t afford a smartphone. At the time of announcing the JioPhone, Mukesh Ambani said that the company is aiming to sell five million JioPhones every week. Nevertheless, the company has taken pre-bookings only once, and in which it received six million bookings, and is currently in the process of delivering the JioPhones. It isn’t surprising that a lot of people are in the queue to purchase the feature phone, considering the affordable price tag of Rs. 1,500. 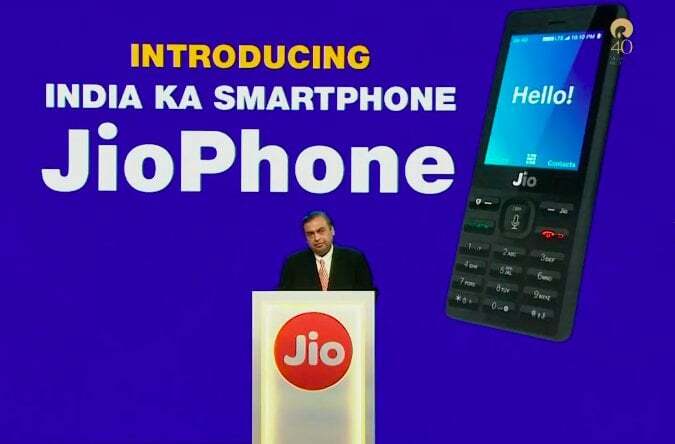 Of course, there might be many people who would have rejected the delivery after reading the updated terms and conditions from Reliance Jio, and there’s a huge possibility that the demand for JioPhone will not be the same as it was in the first prebooking. If the JioPhone is its primary highlight, the second one is the attractive tariff plan. Reliance Jio is offering a bundled tariff plan of Rs. 153 which gives 500MB data per day and unlimited voice calls for 28 days. 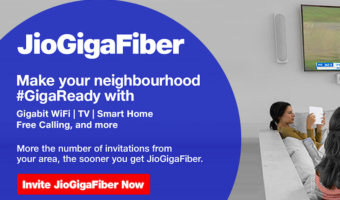 It also provides access to Jio’s digital entertainment apps such as JioCinema, JioTV, etc. After Reliance Jio announcing a 4G VoLTE feature phone, BSNL has partnered with Micromax and recently launched the Micromax Bharat 1 4G VoLTE smartphone with a bundled tariff plan of Rs. 97 that gives 5GB high-speed data and unlimited voice calls for 28 days. And it seems like this ploy from telecom operators is working as Indian consumers are ready to purchase a feature phone in 2017 just to enjoy bundled tariff plans. If JioPhone is a classic example of consumers interest in affordably priced 4G VoLTE feature phone, then the hidden success of the phone will be the tariff plan. A 4G feature phone might not give you the best experience as a smartphone, but you get unlimited voice calls without any limit, at least in JioPhone. Telecom operators like Airtel and Idea Cellular already made it clear that they won’t be going after the feature phone craze, but they will be launching affordable 4G VoLTE supported smartphones. Airtel has already launched Karbonn A40 Indian 4G smartphone with a bundled tariff plan of Rs. 169 which also gives 500MB data per day and unlimited voice calls. Idea Cellular is soon expected to launch a bundled 4G smartphone as well. Having said that, when JioPhone launched, it was the only device with such an affordable tariff plan, but now, we have a BSNL tariff plan of Rs. 97, although with some limitations. And lastly, we have the smartphone-bundled tariff plan from Airtel and Vodafone of Rs. 169 and Rs. 150 which also offers similar benefits as Jio’s Rs. 153 plan. All in all, on one side we have operators such as Reliance Jio and BSNL with 4G feature phone scheme, and on the other side, incumbent operators such as Airtel, Vodafone, and Idea Cellular with affordable 4G smartphone scheme. Either way, Indian consumers will accept these as long as they get affordable tariff plans. 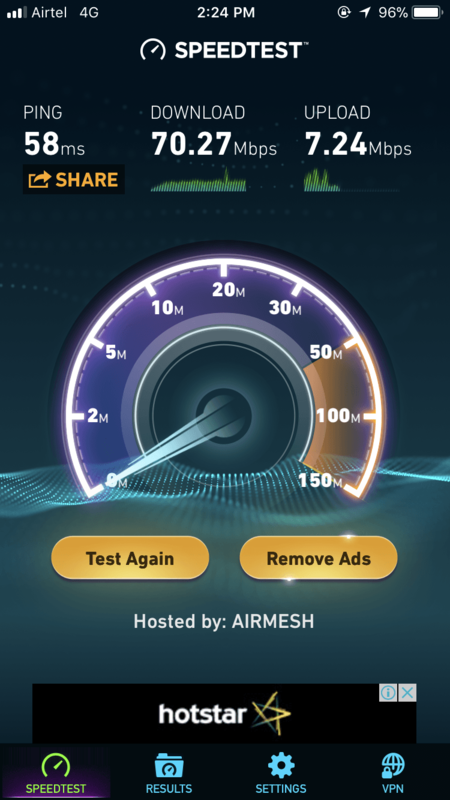 Airtel is rocking in speed,earlier used to get about 15mbps and now they have deployed band 40 without CA and the speeds are amazing,can’t think of the speed with CA made active. I am using galaxy s8+. Can you tell me how to activate CA in my phone or is it active by default. Same in Tamilnadu. I got 8 Mbps (1 MB / s) download speed 29th October 2017 mid noon. Same here. Getting awesome speeds on airtel 4G in Kolkata.. More than 30Mbps all the time. Even got 80Mbps with Carrier Aggregation in Park Street area. BTW you’re from which circle? 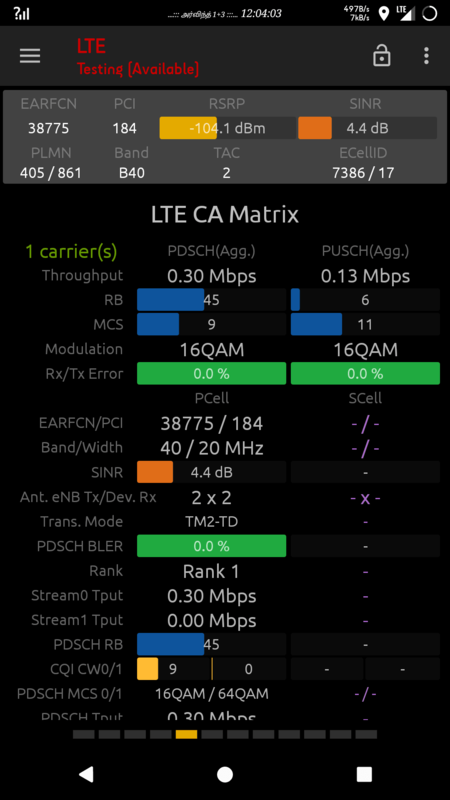 It does show in the field test menu whether CA is enabled or not,i did check but it was not deployed,I am from srinagar,j&k,the speeds will drop i guess because they just started band 40 in my locality whereas they only had band 3 earlier which used to provide 15-20mbps. 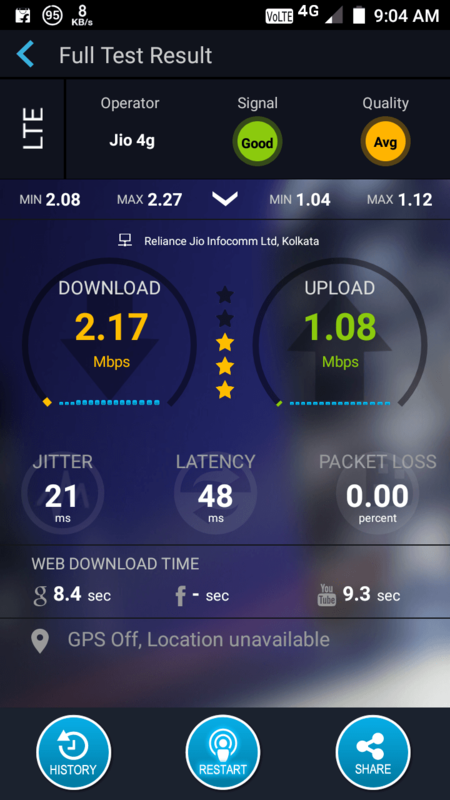 Using Jio for 1 month voice call quality in J2J is awesome no problem with voice call but I am getting only 3mbps speed in my home but my friends house is just 100 metres away from my house and he is getting more than 50mbps speed in Netvelocity. When I complaint to Jio their executive call me and saying as per TRAI more than 2mbps speed in 3g/4g is great and after hearing this I just ROFL and cut the call. 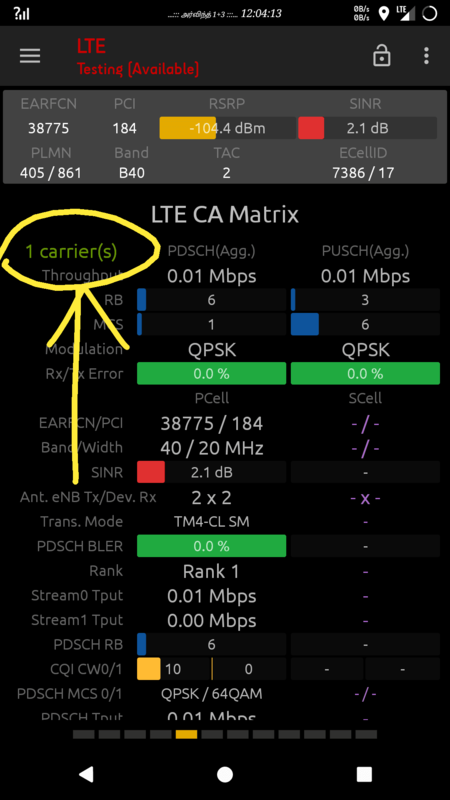 Its not having carrier aggregation I guess!!!!! Not so sure!!!!! Yes, Operators worldwide cannot guarantee on minimum speeds on Mobile… Hence Wifi network is very strong in developed countries… People do not bother much since houses, offices and all public places are covered under high speed wifi…. In India since wifi penetration is slow, hence people feel frustrated on slow data speeds. Enable advanced mode in Netvelocity. Band etc is not visible here. Same is the Case with me. A friend lives down the lane gets 10+ but max I get is 2 mbps. Complaint to Jio Care but all in vain. Planning to visit the Jio Care Center to ideally show them the difference and request for Site Inspection. Day by day Jio service is becoming worst. In so many areas even in vital areas Jio coverage is totally blank. Even their appellate team never reads mails thoroughly. They sends repeated response. Due to job purpose I am visiting Bidhan Chandra Krishi Viswavidyala, Mohanpur, Nadia for last one month and there, Jio coverage is totally blank. So many Jio customers has broken jio sim and most of them didn’t renewed it. @Suman: I’ve mentioned particular area. On NH 12 (earlier NH34) Jio has average network coverage. Do you have visited BCKV? Till now coverage of Jio is blank.